In late February, the Japan Aerospace Exploration Agency (JAXA) is teaming up with a fishing equipment company to test out an unusual approach to fighting space junk: a satellite equipped with a 300-meter magnetic net that will sweep up the man-made debris hovering in low Earth orbit. The net is only 30 cm wide when unspooled, and it is composed of a highly flexible metal fiber. When the net is launched into space, it will use a magnetic field to attract pieces of orbiting debris. 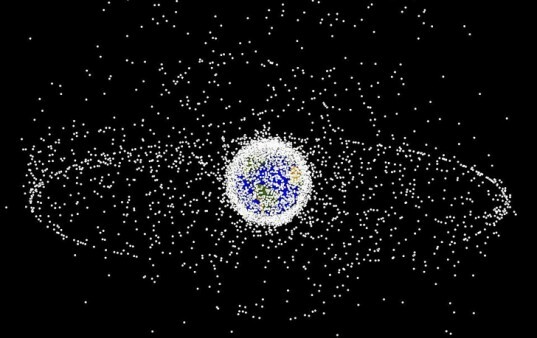 Over the course of a year, the collected space junk will sink lower and lower, eventually burning up in Earth’s atmosphere. If this test proves successful, a kilometer-long version has already been fabricated for future use. Jaxa is currently figuring out how to use space craft to attach these nets to larger pieces of space debris, like old rocket engines or broken satellites. A functioning system could be deployed as early as 2019. 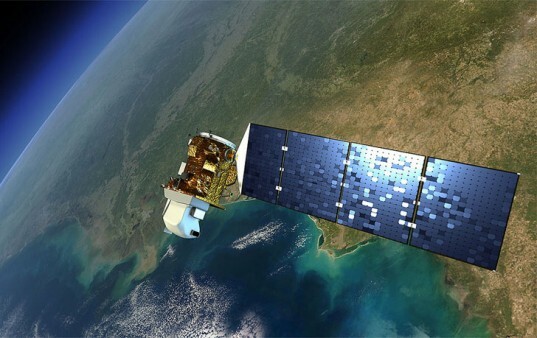 Currently experts estimate there are 100 million bits of junk floating around the Earth. 22,000 of those pieces of space debris are believed to measure 10 cm or longer, potentially threatening satellites and the International Space Station. Most of the debris is made up of discarded parts of degrading satellites and old rockets.